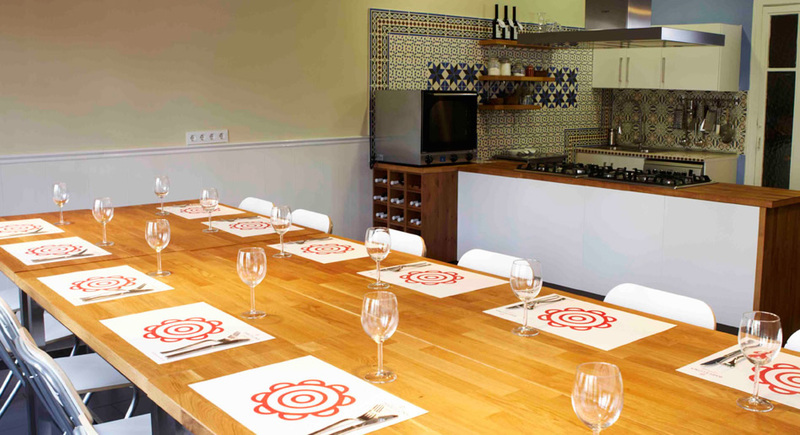 La roja: The 'red' kitchen is our original space. 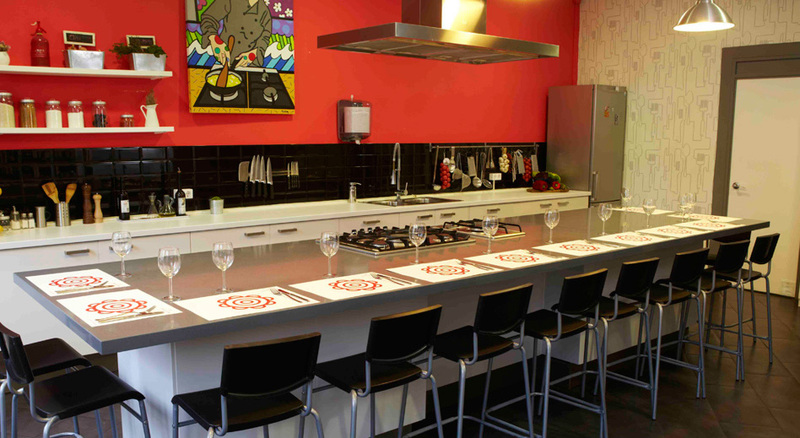 A contemporary and sociable space, full of natural light and color - where you can set your culinary creativity free. Equipped with state of the art kitchen appliances and picturesque views onto Las Ramblas - Barcelona's most famous street - this is an ideal location for an intimate atmosphere. Classes take place around the large central island. La blau: The 'blue' kitchen is our newest and larger space, with beautiful view of the city and overlooking Las Ramblas. With a welcoming Mediterranean feel, interior designed with a modernist Catalan influence, and beautiful contemporary wooden furniture - the 'blue' kitchen boasts ceiling height windows that allow the warm Barcelona light to stream in. Equipped with state of the art kitchen appliances and an LCD screen, this space is ideal for meetings and presentations as well as group classes and events.